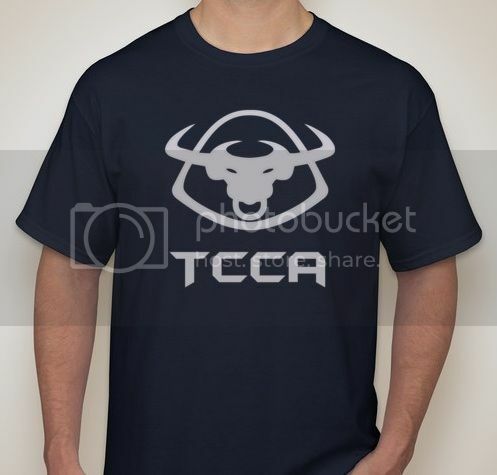 I have a couple TCCA shirts left over from Carlisle 2014. These are from those who did not claim them, or those who simply did not show up. These were paid for by the people who ordered them for the event, so IF YOU ARE ENTITLED TO A SHIRT, GET IN TOUCH WITH ME SO WE CAN ARRANGE TO GET IT SHIPPED IT TO YOU (on your dime, sorry). I will be selling the left overs for $20 (paypal) a piece (Don't worry, the money goes to Carlisle 2015 fund, not my pocket). Price includes shipping.. lower 48 only. So if you want to claim yours, or want to buy one of the extras, CONTACT ME ASAP. FIRST COME FIRST SERVE. There anything on the back of them? No. They are only printed on the front. Is there an alternative payment method? I stopped using Paypal years ago. You can mail me check or cash at your own risk. That is really about it. oops, paul, one of these is mine. we had planned on jake getting it from you when he grabbed your wheels but i dont think that happened either, lol.